Kelly Helleson, a former Texas Highway Patrol trooper, took a guilty plea in the case against her for the roadside body cavity search of two women in Irving. Helleson was charged with two counts of Sexual Assault, but those charges were dropped in return for her pleading guilty to two counts of Official Oppression. She will serve two years probation and pay a $2,000 fine. In addition, she lost her peace officer license. If she violates probation, she will face a year in jail. The trooper who called her out to do the search, David Ferrell, was indicted for theft by a public servant, but was acquitted of those charges. He was not fired for his role in the search. Originally, the Texas DPS-Highway Patrol did not take the allegations seriously and threatened to file charges on the victims. The victims then filed a lawsuit, settling for $185,000. Huff v. Reichert has been settled by Collinsville for $100,000. After listening to the audio from the arguments at the Seventh Circuit, I understand why they settled. The panel really questioned the officer’s attorney, doubting almost everything that he said, after pointing out that he had cited a case which had been subsequently overturned. The exact quote was that the case cited “had been overruled on precisely this ground.” Ouch. That is not good. That hurts. That hurts like watching Mazeroski’s Game 7 walk off home run, if you’re a Yankee’s fan. And everytime that the attorney stated his position, a judge was shooting it down. Why did Reichert pat down Huff and his passenger? What reasonable suspicion did he have? How does this even begin to be a valid search? Etc. I also noticed that Huff’s attorney was only asked one question, not related to the facts of the case. I think that Huff could have held out for more. 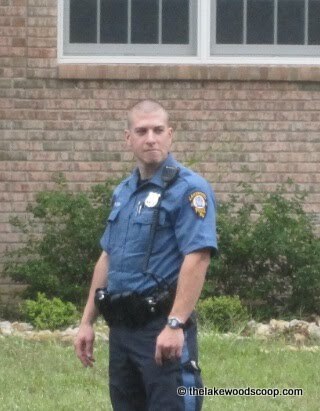 The Lakewood, NJ Police and the Ocean County Prosecutor recently announced the arrest of Lakewood Officer Jeremy Felder for Official Misconduct. Official Misconduct is a second degree felony, with a punishment of 5-10 years in prison. N.J. Stat. § 2C:30-2. After Felder was indicted and arrested, he was suspended without pay pending the outcome of the trial. The charges against the original subject were dropped due to the misconduct. Felder is accused of committing an illegal search in the Lakewood case, but had earlier been involved in the illegal arrest of Anthony Bell while Felder was an officer in Jackson Township. The township settled the inevitable lawsuit for $95,000 while admitting no fault. Felder was hired by Lakewood shortly thereafter, at a significant pay cut.